LUNA AMARA (“bitter moon”) is one of the most successful alternative rock Romanian bands. Actually, it is more than a band, as its members are trying to create not only music, but to be a constant reminder of the social and political issues present in the day-by-day Romanian society. 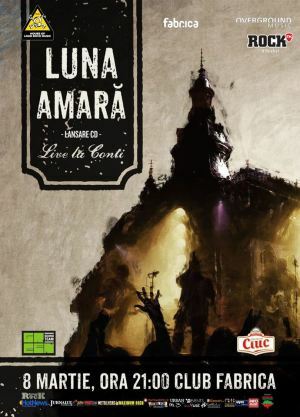 "Luna Amara live! " Launch in Bucharest. You can get here description, reviews, address, time and details of "Luna Amara live! " Launch in Bucharest. Visit Bucharest Tips for more Launch events in Bucharest!